Those looking for a golden opportunity to indulge the senses while helping out a good cause are in luck; this is just such an opportunity. 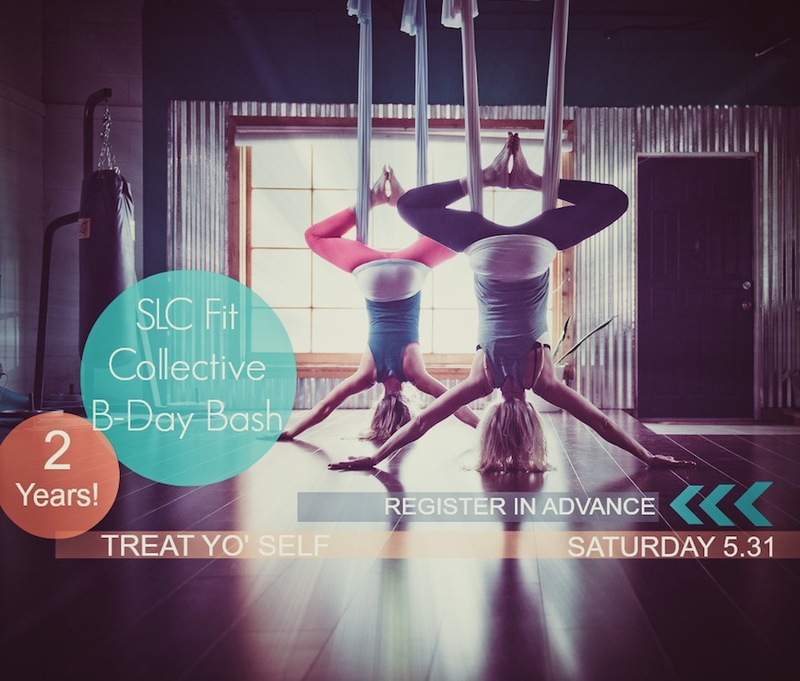 You’ll want to make your way to the good time party being thrown by our friends over at SLC Fit Collective next Saturday, May 31st, from 10:00 am to 4:00 pm. Treat Yo' Self [we heart Tom and Donna] marks the two-year birthday of SLC Fit, and in the effort of doing up a proper party and what not, they've invited such cool folks as The Chocolate Conspiracy, Laziz, and Mamachari Kombucha, to name a few. Get this: all proceeds will go to saving some adorable animals at Best Friends Animal Society. As it turns out, it only costs $83 to save one little ball of fur [do it! do it! 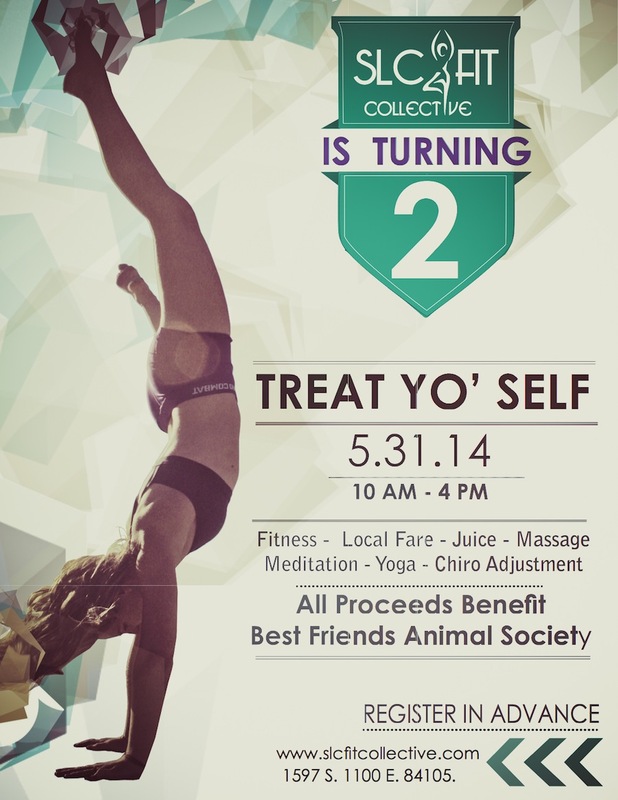 ], and those that register [to donate the noted amount] will get a whole slew of goodies, including a fitness class, a relaxation class, massage, chiropractic adjustment, a juice from our COLLECTIVE faves, Vive Juicery [blog coming very soon] and other local fare. It's a pretty sweet deal...and you get to feel like a hero. Click on the link below to get registered [and to see other available donation packages], then get to the party to get in on all this feel-good.